Are you sick and tired of starting over again? Tired of starting over? Then stop making excuses that keep you stuck! TOUGH LOVE time!! Here is one excuse I hear too often and know is complete B.S.!!! Get ready for this… YOU MAKE TIME!!! I don’t FIND time to exercise…I MAKE time to exercise. If you don’t MAKE time for exercise, you will soon be making time for dis-ease of the body. I promise you that. —- Are you watching TV during your day/night? If you have the time to watch TV..then you have the time to workout. Get your dumbbells out and workout in front of the TV…or better yet…TURN OFF THE TV AND GET A WORKOUT SESSION DONE!! Anywhere that works is the best option for you! Home workouts/ outdoor workouts/ gym workouts. It doesn’t matter where…it just matters that it happens! 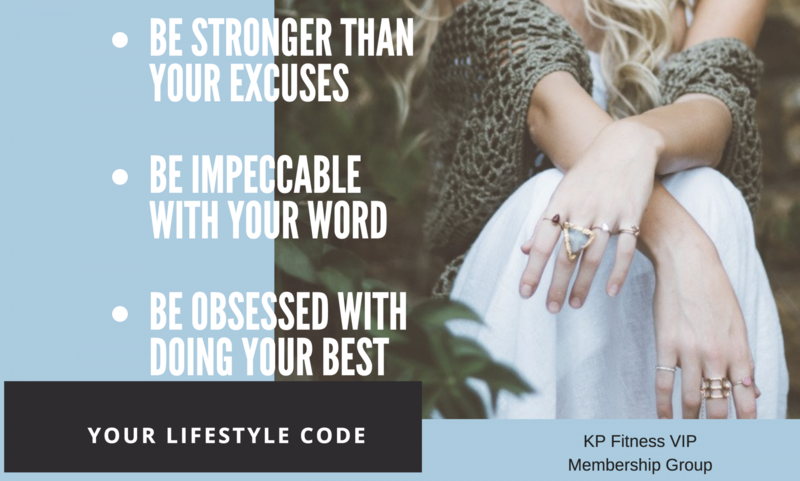 Get your workout done in the morning…there are less issues to stop you at this time of day and it sets your body up for an amazing feeling all day long! Even 10 minutes will have you feeling more refreshed and awake than hitting that snooze button 5 more times! I have clients that workout at 4am because they start work at 6am and they are motivated to get it done NO MATTER WHAT! They make it work so you can too! It’s easier to start the day with a workout than to continue looking at yourself in the mirror and battling with how you look and feel. It takes just 21 days to create a new habit; give yourself a chance to get it done right. —- If you have young kids, make them workout with you! Go to the park, run around the house with them, ride bikes outside…ANYTHING! Make circuits in your backyard and just GO FOR IT!! Go to the beach, play in the sand. See how many holes you can dig in 10 minutes. These are great examples to set for your kids and trust me, it WORKS!! My kids make me proud every day because of their hard work in sports and training and eating…and it started with watching me getting it done! —- How about your lunch hour? You can go for a 30 minute walk outside, can’t you? Get some fresh air, stretch out your legs and re-energize your mind for the rest of the afternoon! —- PLAN! PLAN! PLAN!! Write in a journal or notepad when you are going to workout. Mark it on your calendar and treat it like your JOB! You’re the freaking BOSS and BOSSES DON’T CANCEL!!! If you still feel like you don’t have time…message me and let’s set up a time to chat. I bet that I can help you find a way to get some exercise into your day or change some things up so you can add it in!